Secrets of Grindea » Weekly Recap #59: Back to work! Weekly Recap #59: Back to work! After gaining weight and laziness over the duration of our little break, it’s finally time to start getting back to work. 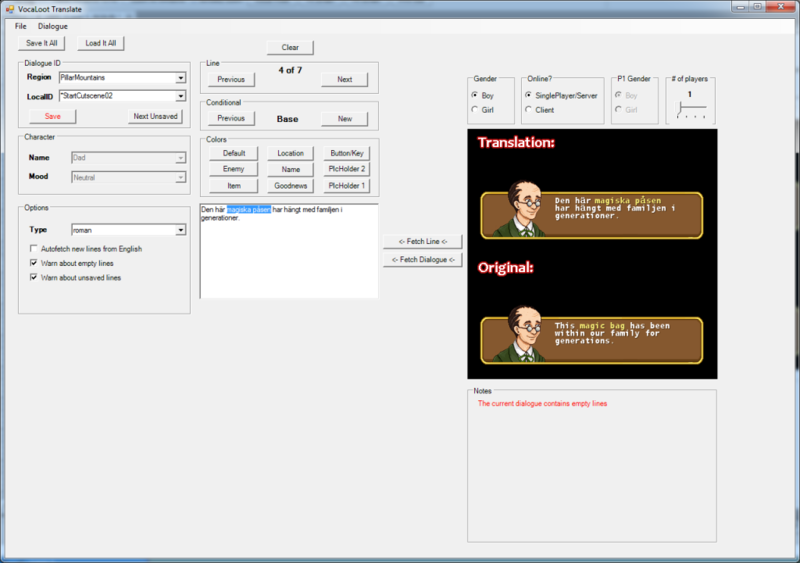 Another piece of development news, which will be very exciting to some, and not-so-exciting to others, is that we’re working on some translation tools! 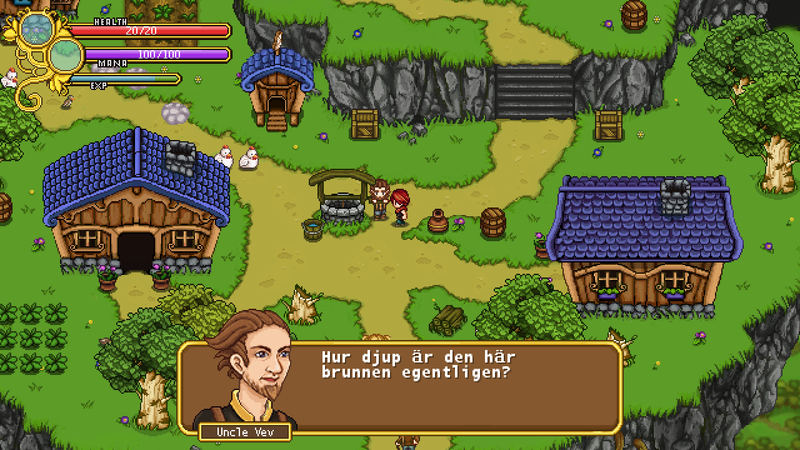 We’ve gotten quite a few offers to have fansub groups translate our game to various languages, and if there are fans out there who want to bring the game to their non-English speaking countrymen, why not let them? Basically, it’s a set of tools that can be used by anyone to change dialogue (and other texts). You have access to everything you need, like coloring parts of the text, or adding conditional phrases (like having a character say different things depending on character gender, or how many is in your party). 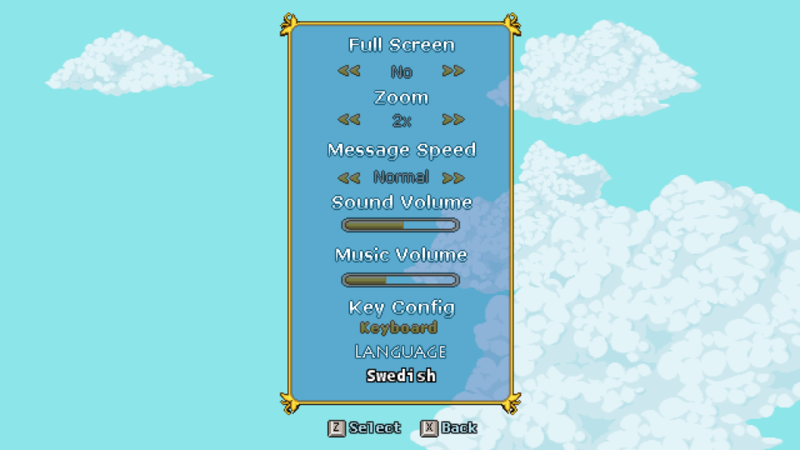 By saving it into the game’s language folder, you can then select it in game. Our hopes are that the tools will be used to make better translations than we’d be able to get even if we hired someone to help us! In their final version, the goal is to have good support for collaboration, with options to merge different language files and keep the best translated lines. Also, having an approach like this can let players choose between, say, a literal translation by one group and an idiomatic translation by another. Perhaps a fan with a great knack of dialogue writing will even release an improved English version! Posted by Secrets of Grindea at 2013/01/08. 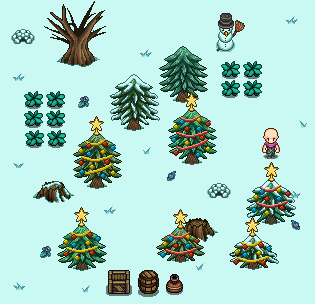 Tags: environment, hats, tools. The game looks really cool, I totally want to play :3. Keep up the great work guys, the game looks great. It reminds me alot of my childhood and the games that I used to play. I can’t wait to play this game! Great work, as always ;). I study german and would love to contribute to a german translation :). Allowing your players to translate with this much freedom is awesome! Will you be allowing the character’s names to be translated as well? Yay! German translation from McToast! I am from germany, could help you if you want! @Advert: Yes, in the end, we want to allow everything to be translated! Even replacing text that are images. When the time comes we’ll create a forum where players who speak the same language can team up! Someone better do a pirate translation! I can’t wait for this game, it looks amazing, I love how it is going back to the old style RPG days. Been watching you guys slowly develop for so long, its amazing on what you guys have accomplished already. Just asking, what kind of encoding and fonts are used in game? I am from Russia and thing is, i often meet situations where game either uses encoding not supporting Cyrillic or fonts not having Cyrillic letters. I’d like to contribute to a dutch translation. I love this game! Looks really cool, I’d love to translate the game in french to allow my friends to play aswell! I think I’m going to give it a go and translate it to Croatian when I get the chance. I think our country needs a little love when it comes to dubbed games. Lookin’ forward to it!